Computer Keyboard Two Gesturing Hands PowerPoint Templates And PowerPoint Themes 1012-The above template displays a diagram of a computer keyboard with two gesturing hands keys. This image clearly defines the concept of emotions and communication. This image has been conceived to enable you to emphatically communicate your ideas in your Business and Competition, communication, discussion and success PPT presentations. The ideas and plans are on your finger tips. Now imprint them on the minds of your audience via our slides.-Computer Keyboard Two Gesturing Hands PowerPoint Templates And PowerPoint Themes 1012-This PowerPoint template can be used for presentations relating to-"Computer keyboard with two gesturing hands keys, computer, technology, signs, business, internet" Our Computer Keyboard Two Gesturing Hands PowerPoint Templates And PowerPoint Themes 1012 are like a fine comb. They get different strands of thought together. 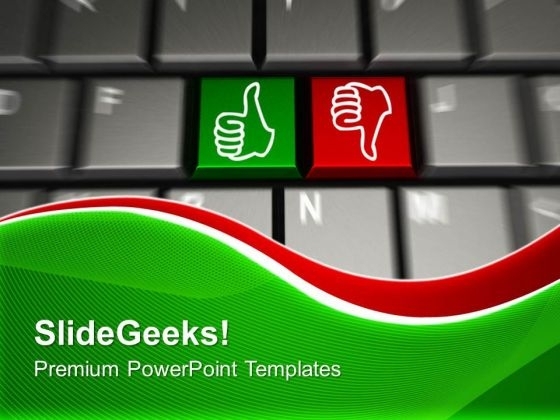 Get things going for you with our Computer Keyboard Two Gesturing Hands PowerPoint Templates And PowerPoint Themes 1012. The audience will be in a favourable mood.